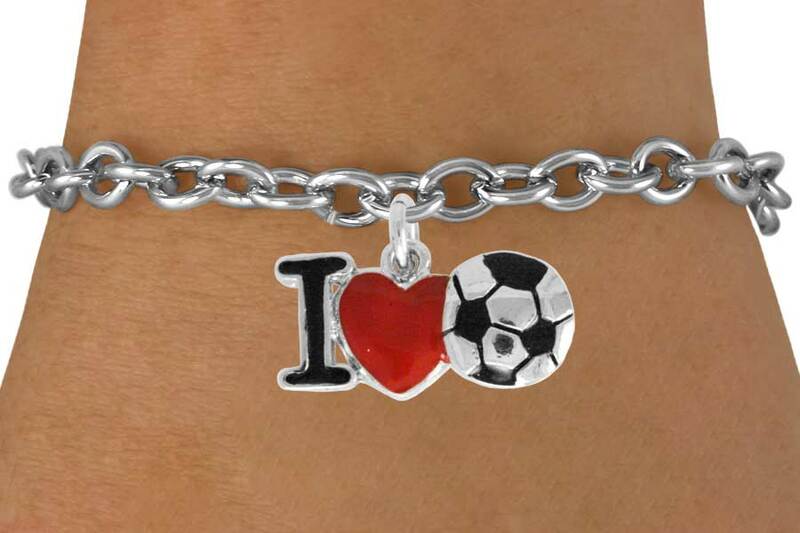 W840SB - "I LOVE SOCCER"
Exclusively Ours! 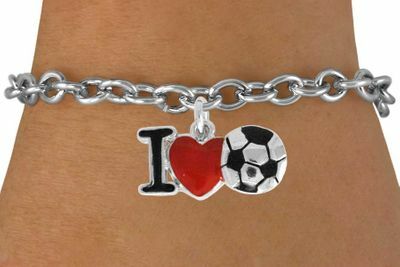 Lead & Nickel Free "I (Heart) Soccer" Charm Comes On A Bracelet Of Your Choice: Lobster Clasp Chain, Toggle Chain, Brown Suede Leatherette, Or Black Suede Leatherette. Charm Measures 1/2" x 7/8".